Welcome to Gothtober where every day is Friday the 13th. 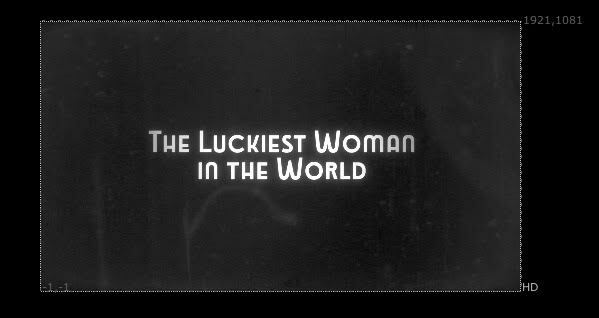 Today’s film is brought to you by Cristin Pescosolido, it’s called “The Luckiest Woman in the World” or is she? Watch carefully as “Jen” gambles with old-time superstitions. This film uses SPECIAL EFFECTS! I know for a fact that the cat, Charlie, in the film is a grey cat, but Cristin managed to change his appearance in one of the shots! Here’s a little show and tell that gives you a peek into 21st century movie magic. A shot of the render time on Cristin’s poor abused old macintosh. 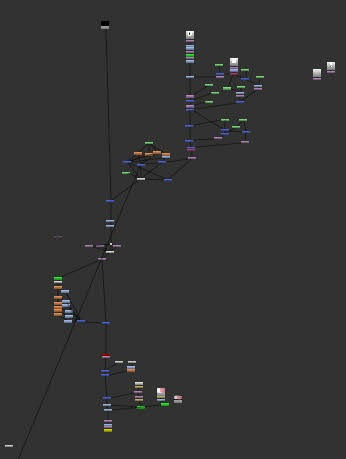 Here is the nuke script used to turn the modern HD footage in to something you might see from an old film. Grain, dirt, scratches were taken from old film footage that was scanned. Multiple layers of dirt, lift, scratches were added, camera shake was added, and some blooming on all the hilights as one might see in nitrate film stock. Here’s a still frame of the titlecard, showing how all the lovely treatments trash a perfect black and white image.